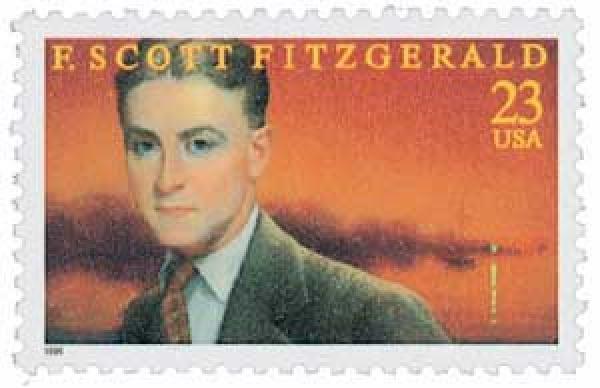 U.S. #3104 was issued for Fitzgerald’s 100th birthday. Francis Scott Key Fitzgerald was born on September 24, 1896, in St. Paul, Minnesota. 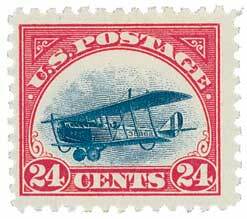 U.S. #C3 – America’s first Airmail stamps were issued seven years after Ovington’s flight. On September 23, 1911, Earle Ovington made America’s first airmail delivery between Garden City and Mineola, New York. Born on December 20, 1879, in Chicago, Illinois, Ovington loved to experiment with electricity from a young age. At 16, he went to work for the Edison Electric Illuminating Company. But he soon realized that he’d need a formal education if he wanted to succeed. So he went to the Massachusetts Institute of Technology. There, Ovington’s frequent electrical experiments earned him the nickname “Volts.” After graduating, he formed the Ovington Motor Company to bring European motorcycles to the U.S.
U.S. #551 – Hale was designated Connecticut’s state hero in 1985. 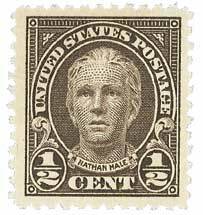 After being discovered as an American spy behind enemy lines, Nathan Hale was hanged on September 22, 1776. Born in Coventry, Connecticut, Nathan Hale attended Yale College where he belonged to the Linonian Society, which debated astronomy, mathematics, literature, and slavery. He graduated with first class honors at the age of 18 in 1773. 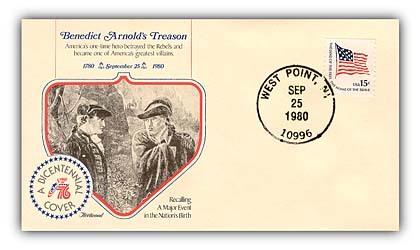 Item #93120 – Commemorative cover marking the 200th anniversary of Arnold’s treason. On September 21, 1780, American Revolutionary War General Benedict Arnold met with the British as part of a plan to hand over West Point – an act of treason. Born in Connecticut on January 14, 1741, Benedict Arnold served in the French and Indian War before becoming a successful trader. Arnold owned and operated merchant ships when the Revolution broke out in 1775. He quickly joined in the fight and earned recognition for his bravery and providing crucial intelligence. This intelligence showed there was a large amount of supplies left at Fort Ticonderoga. U.S. #1397 paid the domestic air postcard rate and foreign surface postcard rate. 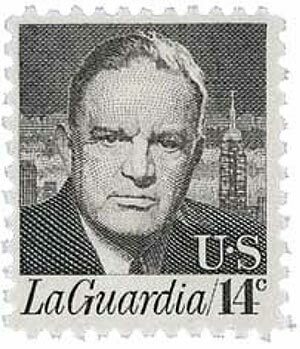 On September 20, 1947, former New York City mayor Fiorello La Guardia died. Fiorello (Italian for “little flower”), was born December 11, 1882, in Greenwich Village, New York. His family then moved to Arizona when his father got a job as a bandmaster at Fort Whipple in the U.S. Army. When his father was discharged in 1898, the family moved to Trieste. 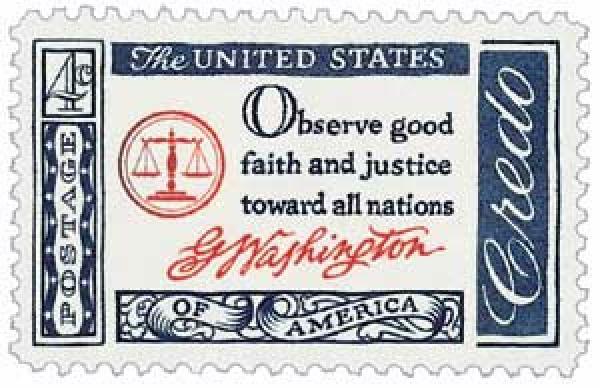 U.S. #1139 includes a portion of Washington’s Farewell Address. On September 19, 1796, the American Daily Advertiser published President George Washington’s Farewell Address for the first time. It’s considered one of the most important documents in United States history. With the help of James Madison, Washington wrote the first draft of his Farewell Address in 1792, when he planed to retire after serving a single term in office. However, he grew concerned for the nation when Alexander Hamilton and Thomas Jefferson became involved in a bitter feud resulting in the creation of the Federalist and Republican parties. Washington worried that their division as well as foreign affairs could rip the nation apart without his leadership. So Washington ran for president a second time and was unanimously reelected.